Throughout the year, the artistry that we get to witness on our platform is truly astounding. We see our contributors continue to push boundaries and capture incredible moments from around the world. 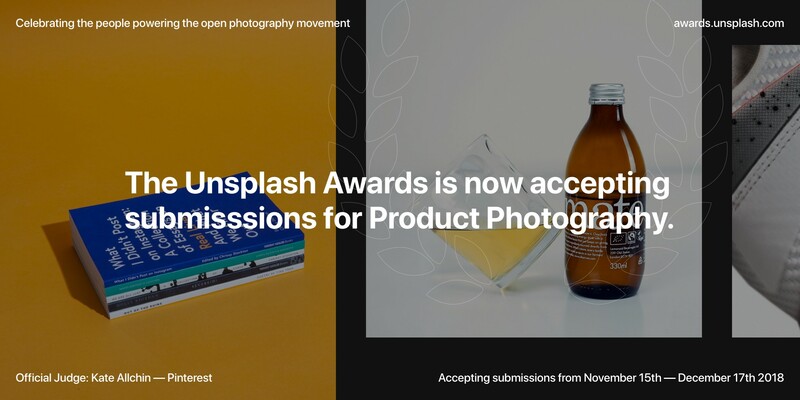 There are now over 750,000 photos in the growing Unsplash library! This display of talent and generosity in our community cannot go unrecognized. 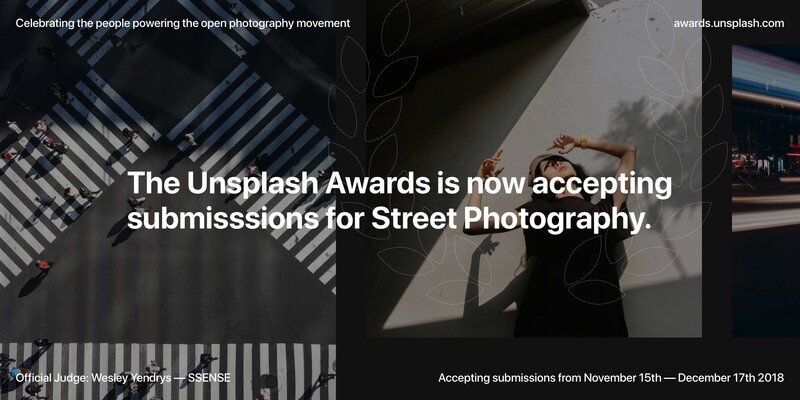 And so, we’re excited to be kicking off the 2nd annual Unsplash Awards. 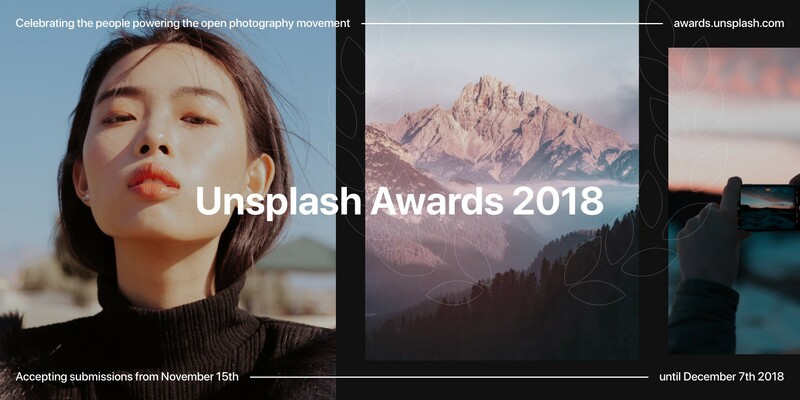 This month-long celebration that recognizes the powerful impact the Unsplash contributors have made. 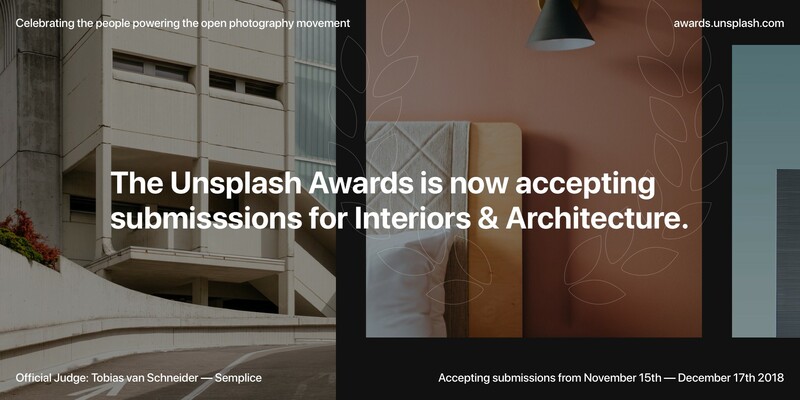 We’ve created 12 photography categories where we will feature the work of Unsplash contributors from November to December. 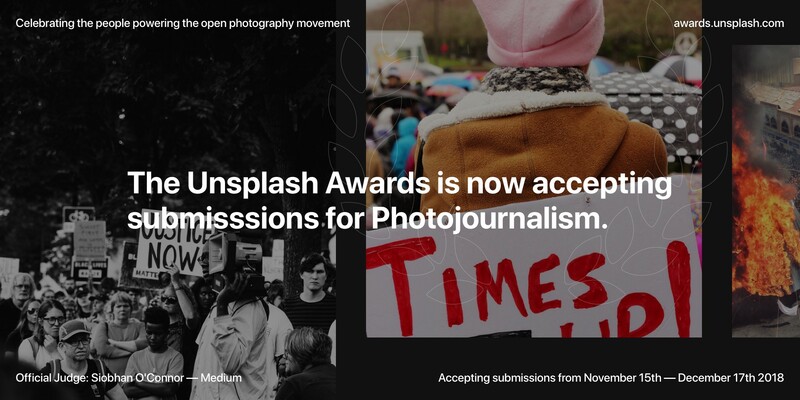 For each category, we’ve invited a guest judge to help select the featured photos. Esteban is a brand designer working with Global Citizen. He focuses on exploring how design can transcend across an organisation; from the conception of the business model, to how it can be leveraged to empower individuals. Over his career in marketing and design he has worked on projects with Target, The Clorox Company, Macy’s, STORY, Microsoft, Nickelodeon, Starbucks, and Global Citizen; refining their marketing strategies, defining their brands, and creating consumer centric experiences. The combination of his design expertise and his understanding of product-market fit gives him the unique ability to act on business trends with a creative approach. 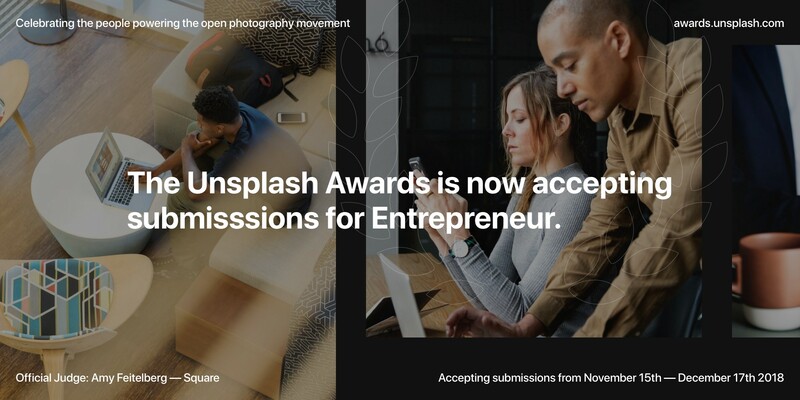 Amy is currently a photo art director at Square in San Francisco, CA, where she gets to create the visuals for a forward thinking company that enables entrepreneurship for all. Previous to her transition to the Bay, she was the photo director at Los Angeles magazine and Outside magazine in Santa Fe, NM before that. Throughout her tenure in publishing she curated, produced and art directed award winning photography all over the world. Rogie is a multidisciplinary designer at Dribbble. He really loves to focus on unique solutions, crafted at the hand of front-end web tech that dazzle and delight. Oh, and community. He loves community. But also, hot-sauce! And horror movies! And really loud electronic music! And he loves to dabble in art, that he’s been told has a Disney/mid-century vibe. Sai is an online destination that focuses on family, fashion, beauty, health, and all things lifestyle. The STC brand is devoted to the millennial mom who balances her career with motherhood through family bonding and unapologetic self-expression. Through our various media platforms we’ve created a conversation that resolves around parenting, fashion, city life, and celebrating diversity. STC has earned international credibility as one of the world’s favorite lifestyle blogs, gaining major recognition with national and international sponsors, advertisers, and a rapidly growing fan base. Tobias is an award-winning designer born in Germany, raised in Austria and currently living in New York. Working at the intersection of product design and brand identity, he’s had the privilege of creating products used and loved by millions. He writes about productivity and portfolio building on his blog, DESK. Find him @vanschneider on Twitter. Kate is a London based editorial strategist and marketeer, with over 10 years experience working in fashion, interiors and now tech. She is Pinterest’s Content Marketing Manager — for Canada, UK and Ireland. She oversees the editorial direction for the curated spaces on Pinterest — as well as trend forecasting, co-marketing initiatives and their UK awards program. Outside of Pinterest she loves design, travel and wellness. All passions she can indulge, discover and do via Pinterest. 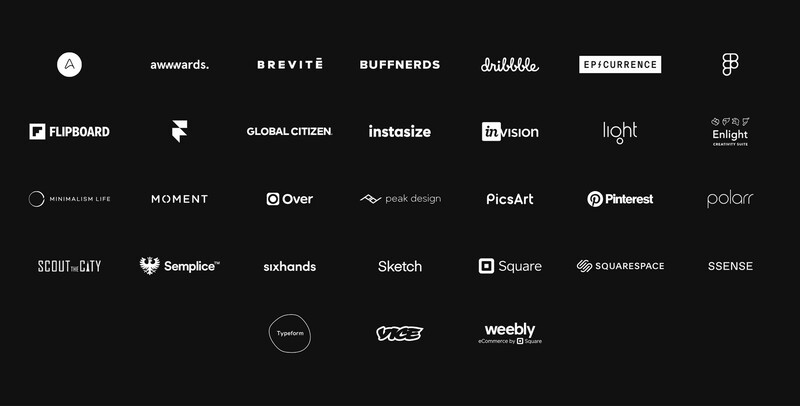 Emanuel is a designer and the co-founder of Sketch. Before starting Sketch in 2010 he worked with some of the biggest software companies in the world and when he’s not designing icons and interfaces, he’s taking pictures with his trusty Leica. 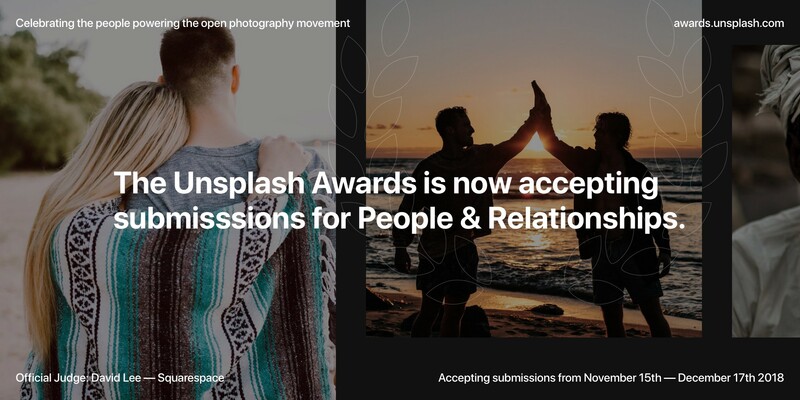 This year, we’re opening up the Unsplash Community Award to the entire community. 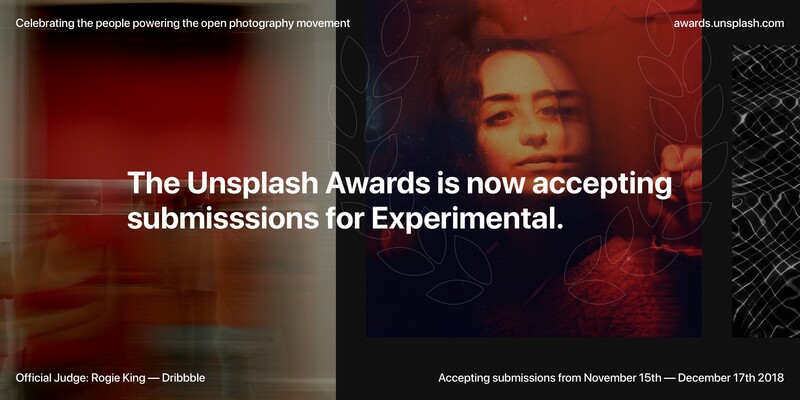 We want to hear from you who you think should be recognized for their stand-out involvement in the Unsplash community. 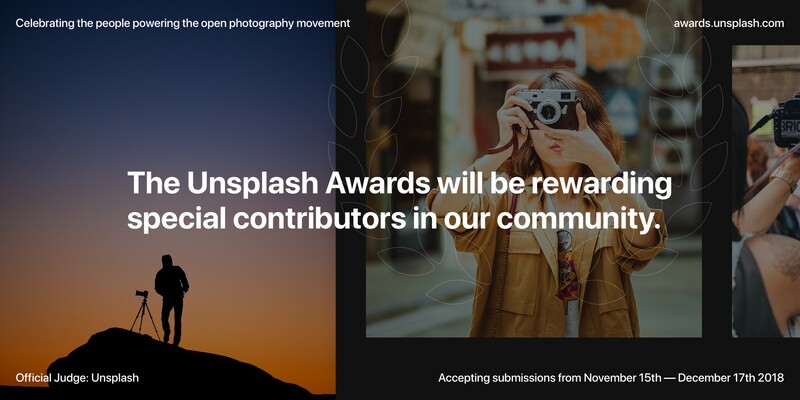 Nominate an Unsplash Community member by filling out this form. 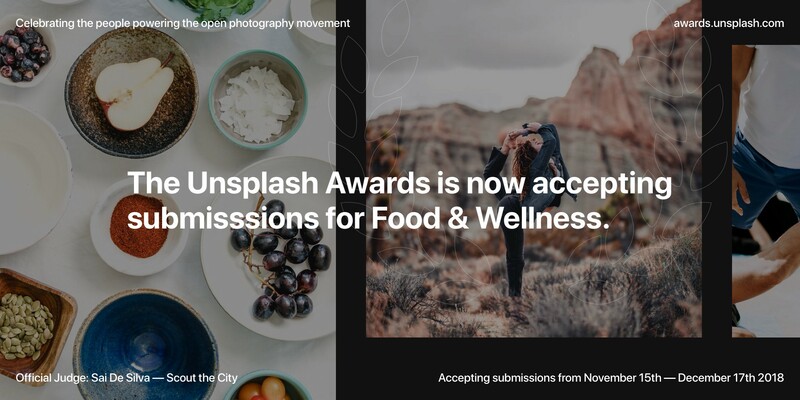 From the Unsplash Awards website, select the category that you’d like to participate in and tap the Submit a photo button. Select up to 3 photos (note: only photos that were uploaded in 2018 will be visible). Press the Save button to save your selection. You can come back and edit/update your selection at any time until December 7th. 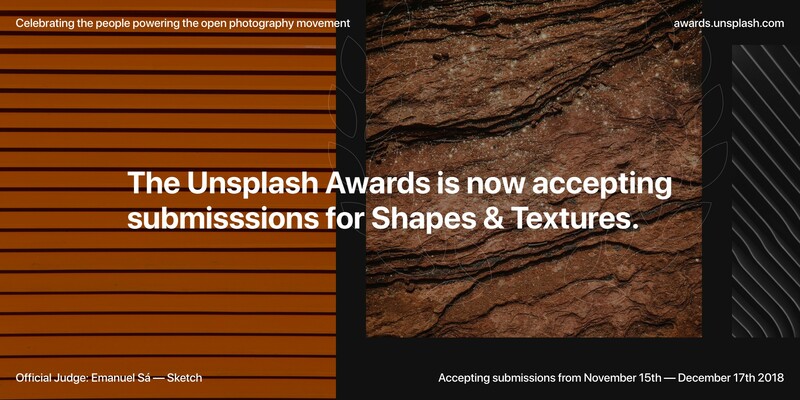 Nov 15th — Dec 7th: Submissions open. 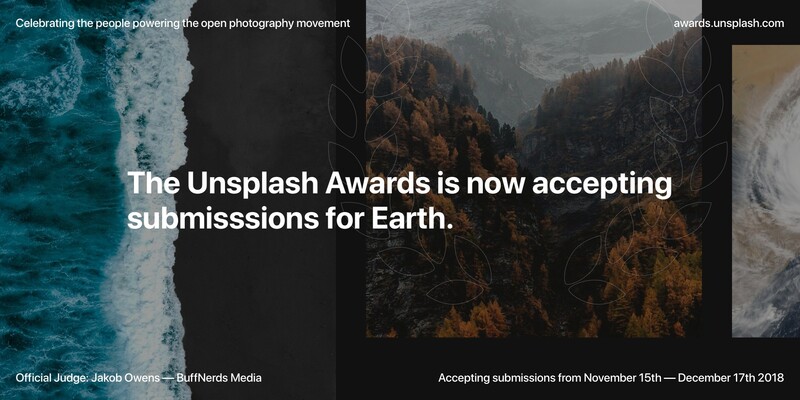 To have your photography featured in a category, go to awards.unsplash.com. 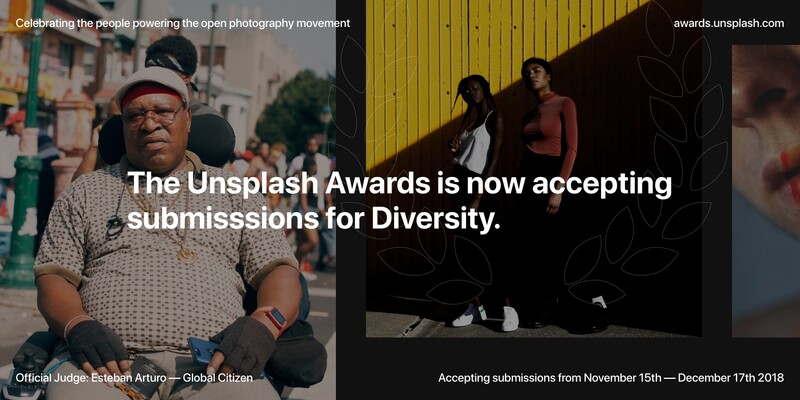 Unsplash would not exist without the collective community of people who believe that sharing their work in support of creativity is worthwhile.